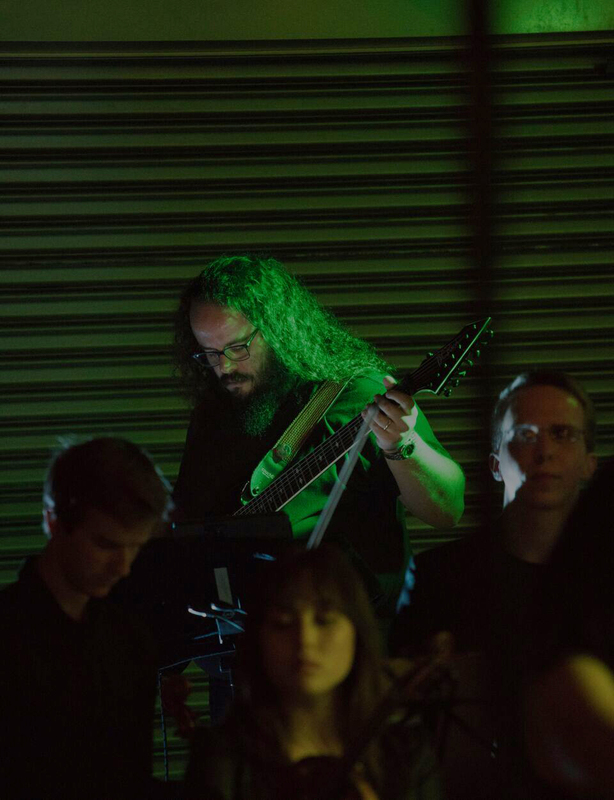 Nicholas Deyoe is a Los Angeles based composer, conductor, and guitarist, and is the Co–Founder and Artistic Director of the wasteLAnd concert series. His music has been called “intriguingly complex and excitedly lush” by the LA Times. The New York Times wrote that Deyoe’s a new(er) anxiety “contrasted filigree lightness and explosive loudness…without seeming to strain for effect.” Drawn to sounds that are inherently physical, Nicholas strives to create music that engages listeners intellectually and emotionally by appealing to their inner physicality. His compositions combine uses of noise, delicacy, drama, fantasy, brutality, and lyricism to create a diverse sonic experience. As a guitarist, Nicholas strives to further the already vast sound world of the electric guitar by experimenting with microtonal tunings, preparation, bows, and beer cans. He has received commissions from The LA Philharmonic, Carnegie Hall, USINESONORE Festival, The La Jolla Symphony, Palimpsest, and several soloists. His music has been performed in throughout North America, Europe, and Japan. As a conductor, Nicholas has performed with wasteLAnd, ICE, The La Jolla Symphony Orchestra, Red Fish Blue Fish, Ensemble Ascolta, The Darmstadt Preisträgerensemble, Noise, The University of Northern Colorado Symphony Orchestra, and many ad-hoc ensembles in the United States and Germany. He holds a Ph.D. in composition from UC San Diego where he studied with Roger Reynolds. Nicholas is currently on faculty at California Institute of the Arts where he conducts The Ensemble and teaches composition.